Santa's personal chauffeur is ready to go solo! 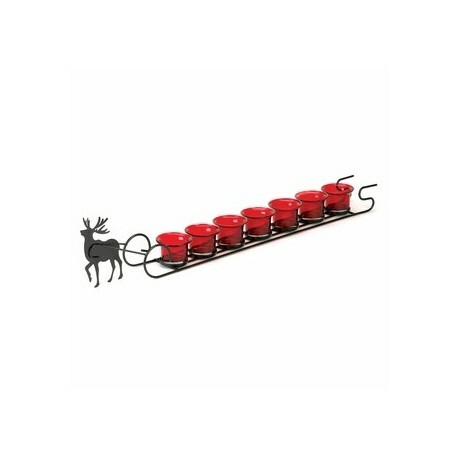 This charming holiday candle display features seven red glass candle cups set in a metal framework thats led by a reindeer cutout! Item weight: 1.8 lbs. 27 1/8" x 2 3/4" x 5 1/4" high. Iron and glass. Candles not included.